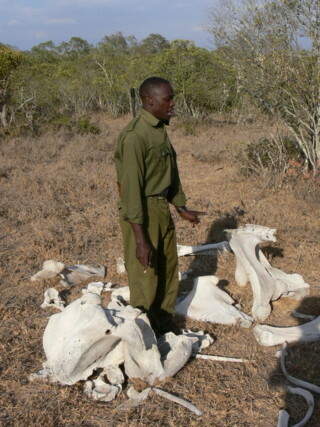 Click here to go to page 1 of the article on safaris for wildlife biologists. - The quality of wildlife biologist African travel will largely be determined by the quality, experience and the skill of your safari guides. If there is an area you should give top priority to in allocating your safari budget it is here in the safari guides. Temporary forget about the formal academic qualifications because many African safari guides may not have the formal, but some of the very good ones have years of experience in the wildlife areas. Research very well to connect with a safari company or field guides who can take your safari beyond the morning and afternoon game drive, people who are at home with birds, plants, soils and not forgetting cultures as always there is a connection between people, habitats and wildlife. - To a wildlife biologist there is no idle time in nature and therefore those structured safari schedules may not work for you. When choosing an African tour operator, be clear that you want all-time safari and don’t settle for “it is too hot at noon, the game is just laying in the shade”. Get the assurance that you will have maximum time in the field before you put down a deposit for your safari. Note that the time you spend out is very much linked to the quality of your field guide because if he/she is not used to long hours in the field, however knowledgeable the guide is, your activity hours will be cut down. - Whether you are a career wildlife biologist, one in training or as just a traveler with a bent in nature, you need to be realistic on what is achievable during your African travel. If you only have 10-14 days of vacations, you are better off selecting a few destinations with contrasting habitats and staying in each longer than going for whistle-stops in several locations. Be watchful for “hot” tourism spots which can at times add no value to a wildlife biologist travel. Work with your local tour operator to discover off-the-beaten-paths gems which may not yet be in the latest guide books but are worth a visit because of their biodiversity. - Many wildlife biologists hesitate to take group tours (not unless it is from a known organization) because they are afraid of getting trapped up with other travelers whose interest in wildlife is “seeing wildlife”. This is a genuine concern as you need to have travel companions who are on the same wavelength with you. But it is possible to link up with local tour operators who are patronized by biologists and this could significantly cut down the cost of your wildlife biologist travel to Africa. For a consultation on wildlife biologist tours in Kenya contact Ontdek Kenya Safaris, a specialized tour operator of walking vacations, bird watching holidays and responsible wildlife safaris, since ’96.